Ahead of the Gold Coast Commonwealth Games, Fast Running wanted to find out more about the athletes competing in their debut Games. 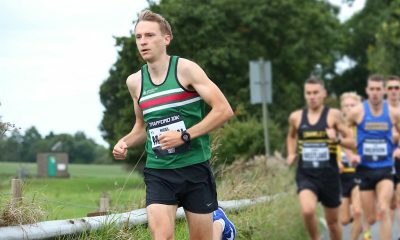 Northern Ireland’s Adam Kirk-Smith is first in the spotlight. 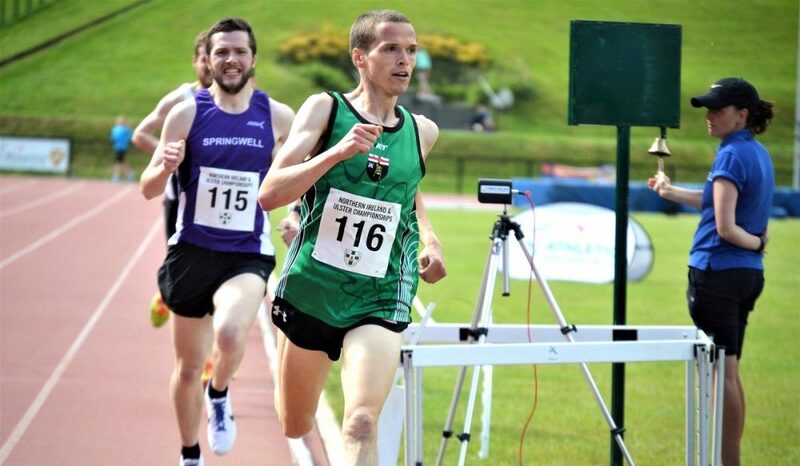 The Derry Track Club athlete will compete in the 3000m steeplechase, after selection as part of the athletics team for the Northern Ireland Commonwealth Games squad. We caught up with the 26-year-old who is currently being put through his paces at a second warming weather training camp in Tenerife. Congratulations on your selection to represent Team NI. What does it mean to you to represent your country at the Commonwealth Games? In a word? Everything. I didn’t grow up thinking I was good at sport. Despite my dad having played hockey for Ireland, I wasn’t very talented! Because of my dad, international sport was a dream I had as a kid, but I let that go growing up as it seemed like a stupidly impossible ambition. I went to the 2014 Commonwealth Games as a spectator, and the idea I’ll be competing there this year still seems surreal. Being Northern Irish is a huge part of my identity, and the Commonwealth Games are the highest level Northern Ireland compete independently at. As such this chance is incredibly special to me. Can you tell us more about your typical training environment and the current focus of your programme? It’s very solitary. Endurance running by its nature is quite a solo pursuit within an individual sport, and since I started working with my current coach Tomaz Plibersek I’ve been training mostly alone on the track. I find that hard, but on the positive side there’s nowhere to hide and you have to do the work yourself. That’s also a big part of finding the psychological toughness to compete at any level when you’re out there on your own. I mostly train at Mile End track and on roads and parks in London. I’ve started incorporating hurdles into my track reps now, and I definitely feel that competition time is getting closer, despite there being three months to go. 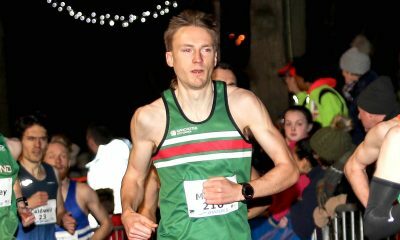 You took part in your first ever warm weather training camp with Athletics NI in December 2016 and returned to continue training in January. What advice would you have for athletes going warm weather training for the first time? Don’t assume the routines you have will all just fit into warmer weather immediately. 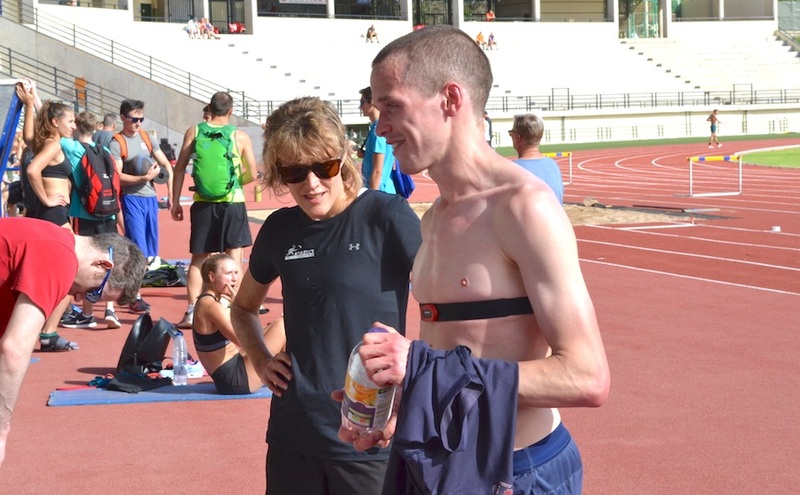 I started my first track session at my usual time, the day after an early start for a long flight, and I fell apart a bit – my heart rate went over 200 so I cut the session short. Leave yourself time to recover from the journey, get used to the heat (in my case that meant training earlier in the morning) and definitely drink more water. Also, try and get familiar with the new environment in terms of sleeping and where you can eat and get things like snacks and water, as the tap water might not be drinkable. Athletics NI team staff have focused on performance behaviours and mindset ahead of the Gold Coast, with European Bronze medallist Ciara Mageean and Paralympic champion Jason Smyth sharing their experience of major championships. Will you be taking on board any of their advice? It was a privilege to be able to spend time with Ciara and Jason. Having them around on the camp was a big bonus, and it made me realise how important it is to stay grounded and not get carried away with your success. At the level they’re at, the basics are still the most important things, and there’s no shortcut to getting there. Both Jason and Ciara talked about self-belief and the importance of not getting distracted from your job as an athlete. 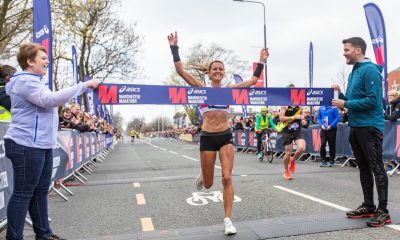 Ultimately, you’ve been selected as an ambassador for your country and for your sport, and the strongest belief comes from knowing you’ve done yourself justice and not missed things in getting to the start line. What are your goals for the Games? Honestly, it’s my first international event and I want to go in feeling relaxed and not putting any extra pressure on myself. I know I’ve improved this season in so many areas, but there are always risks and unknowns in sport, and you can’t be complacent or take anything for granted. If I can get to the start line in the best possible condition, knowing I’ve done my utmost to prepare as professionally as I can, I can be proud of whatever happens afterwards. Lots of people will have things to say about what you can achieve, what you should and what you can’t, but it’s critical not to lose sight of why you’re there in the first place. I’d like to say there are a lot, but maybe that’s not true, it depends on what people find interesting! I travelled across the North Atlantic on a tall ship (sails, rigging, twenty crew and a dog for three and a half weeks), when I was 18, which was pretty special. There was one week when we saw dolphins every day; it felt like a dream sometimes. I’ve sailed several times since, and it’s definitely something I want to get back to sometime in the future. There’s nothing like looking up at the stars in the middle of the night with no other light for miles around, when the only sounds are the wind, waves and the water on the hull.